Ravindra Jadeja is definitely in a happy space now after being selected for the Worldcup squad. 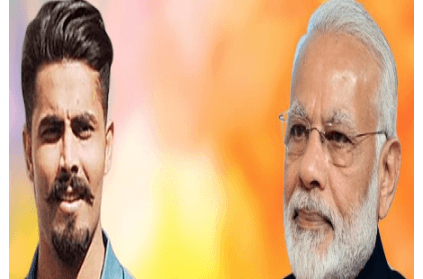 Ravindra Jadeja has recently tweeted saying ' I support BJP ', and in return, Modi has also replied thanking him and also congratulating Jadeja on his selection for the Indian world cup squad. However, some of the fans have not taken this very well on Twitter as he has received a number of messages against this tweet from Jadeja. There have been people saying that he is representing the nation and should be very careful about expressing political opinions. What do you think about Jadeja's tweet? This page contains news relating to various facts and events. The views are generally about current affiars and general topics in diversified areas such as political, international, national, and regional issues, sports, health, travel, lifestyle, technology and business. People having similar interets on the above topics will find this page useful. Jadeja's tweet supporting BJP stirs public reaction on twitter | Sports News.